Allan Barkin is sharing his considerable storage knowledge and experience at the Doubletree Hilton Toronto Airport Hotel, where he will speak at the launch of the 2010 Consumers’ Choice Awards for Business Excellence program on March 31st, 2010 http://bit.ly/dp92UC. 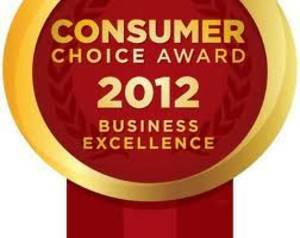 The research firm Léger Marketing has named Jiffy Self Storage a winner of the Consumer Choice Awards for the 14th consecutive year! You can see why when you check out the question below. Answer: “You can rent a personal mail box on site. This way you can receive mail, when away from home. It works well for anyone taking a sabbatical or extended holiday overseas. Watch for helpful hints, relevant questions and effective solutions to all your storage problems.